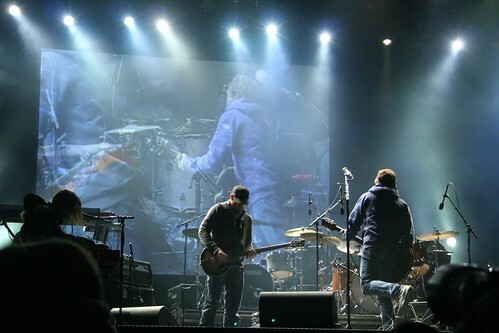 When we last covered Karkwa (who consist of singer/guitarist Louis-Jean Cormier, drummer Stéphane Bergeron, keyboardist François Lafontaine, bassist Martin Lamontagne and percussionist/singer Julien Sagot), their album Les Chemins de Verre had just taken home the 2010 Polaris prize. Since then, the record was also nominated for a few Juno awards (in the Alternative Album of the Year category as well as the Francophone Album of the Year). Now they’ve announced a set of Canadian tour dates, as well as their upcoming appearances at CMW in Toronto and SXSW in Austin, TX.